I have to say that more and more my style is on the preppy side! 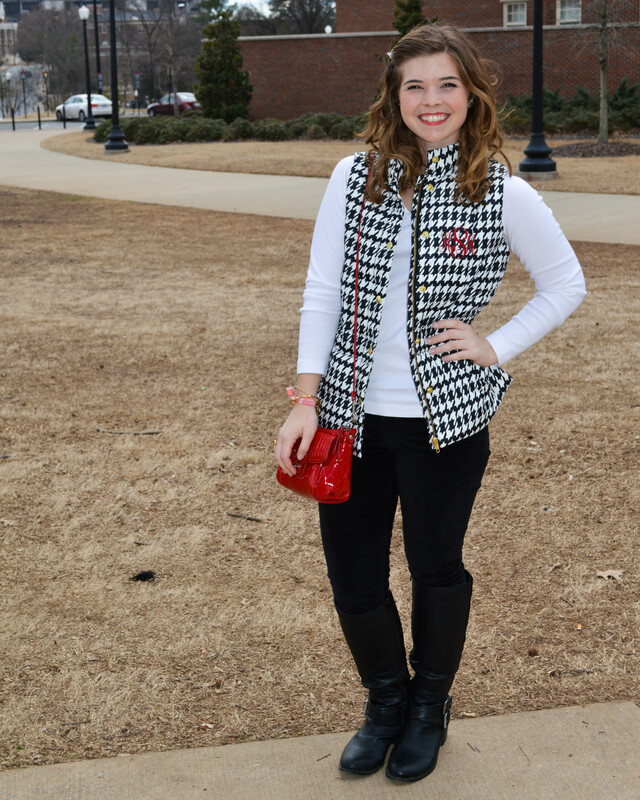 A popular preppy trend this winter has been vests. Insolated, or fleece they are all over the place. For Christmas I got a hounds tooth vest that is just too cute! My mom didn’t want to send it off to be monogramed before she was sure if I liked it. So after opening it on Christmas we sent the vest off to a family friend to get monogramed. I chose the crimson thread because well my school colors of course! I can wear it for day to day or for team spirit at any of the sporting events! I also sent off a pink and whit seersucker button up to be monogramed. I’ll show that off a little later! This week I got them in the mail and I immediately threw on my vest. Of course Saturday was warmer then the past week had been. We went from three snow days to 70 degrees and sunshine. So I was running around in boots and a vest when everyone else was busting out their long forgotten shorts! My crimson cross body coach pulled the outfit together by pulling out the lettering on the vest and I toped it all off with my red red red Clinique lipstick! 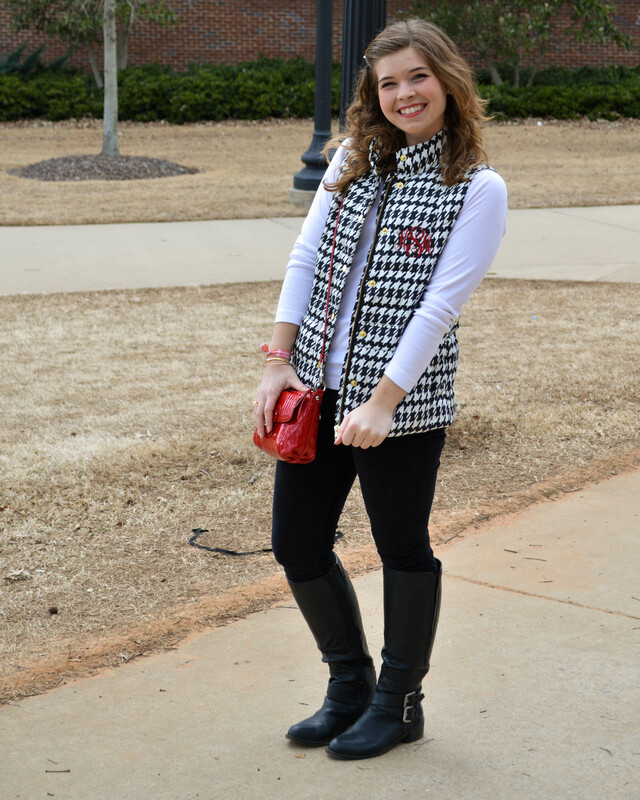 Have you joined the vest trend? ?